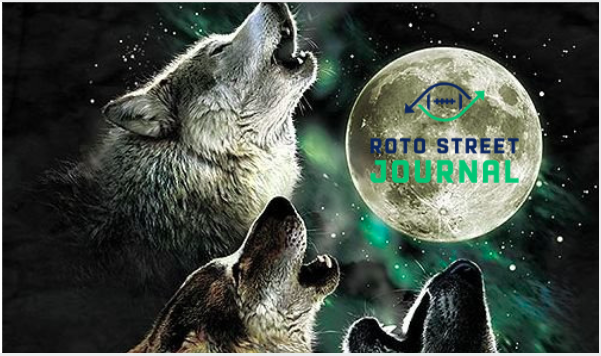 The strength of the Wolf is the Pack"
So many fantasy football owners wander through the RotoSphere like lost sheep, following the industry's "groupthink" analysis while watching their money and (more importantly) their pride vanish. "The strength of the Pack is the Wolf." Bold. Accurate. Well-reasoned. These are the traits that define Fantasy Wolves and allow them to separate from the pack. As such, our content is written to reflect and breed these exact qualities. So whether you're new to fantasy or a defending champion, a basement dweller or always in your finals, Wolf Pack members will be equipped with the Premium and Exclusive content -- unavailable anywhere else -- to reach "Alpha Wolf status." Preseason Kickoff Fantasy Football Guide: Catch up on the Fantasy Football Market's top Bargains, Overprices, and Penny Stocks, see our First Staff Mock Draft of 2018, all while learning what you need to track in the crucial month ahead. "The strength of the Wolf is the Pack"
Breeding the boldest, brightest Fantasy Minds is only Part One. From Draft Day questions, to Sit / Start dilemmas, to DFS optimization, to Dynasty or Trade related issues, we hope to foster the most useful, user-centric fantasy forum around. Plus, these forums will feature "Guest Wolf Experts," as well as access to Member-only Live Broadcasts, ensuring you get respected opinions on your toughest dilemmas throughout the week. No matter how confident and strong of an "Individual Wolf" as you might be, you can always hit the fantasy hunt knowing the pack has your back.